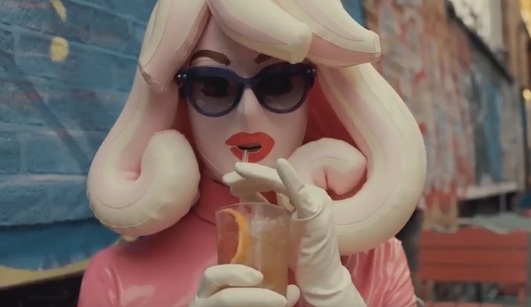 in its latest advert dubbed “Meet Pandemonia”, part of the #KEEPONBEINGYOU campaign. “My name is Pandemonia and I am a London based Artist and Designer. I don’t have any secrets…;) My life motto is always be yourself. Female empowerment means to me having the freedom to do whatever you want. My most overused phrase is definitely ‘Luv It’. I think the key to self confidence is just accepting who you are and owning it” – onscreen lines read throughout the ad. The 30-second spot ends with the tagline “Keep On Being You – It’s a Really Great Look”. The soundtrack music is the instrumental part of “Attitude” by Leikeli47 from the album “Wash & Set”.